Audubon Beekeepers Association will host their annual Bee School on Saturday, March 4, 2017 at the Henderson County Co-Op Extension Center (3341 Zion Road, Henderson, KY 42420). Doors will open at 8 am CST for registration, coffee and donuts. Debbie Seib, President of the Heartland Apiculture Society will be the guest speaker. Vendors will be on-site for your convenience and will include Dadant & Sons, Bee Barn, and Kelley Bees. Door prizes will be given, as well as a raffle to win a complete hive with bees. Space is limited so it is best to preregister. Deadline for pre-registration is February 28, 2017. Preregistration is $15.00 for adults or $5.00 for those 12 years and younger. Registration at the door will be $20.00. Lunch is included with pre-registration and registration at the door. Call Larry Stone (270.339.7245) or Jan Powell (270.860.2942) for more information. 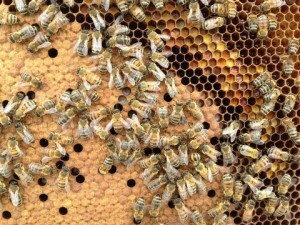 Or check out the website: www.audubonbeekeepersassociation.com.